Aether, created by Arius Blaze, is a touch based work with a very sweet and rich sound similar to that of the Euphonos Field (though not as broad). 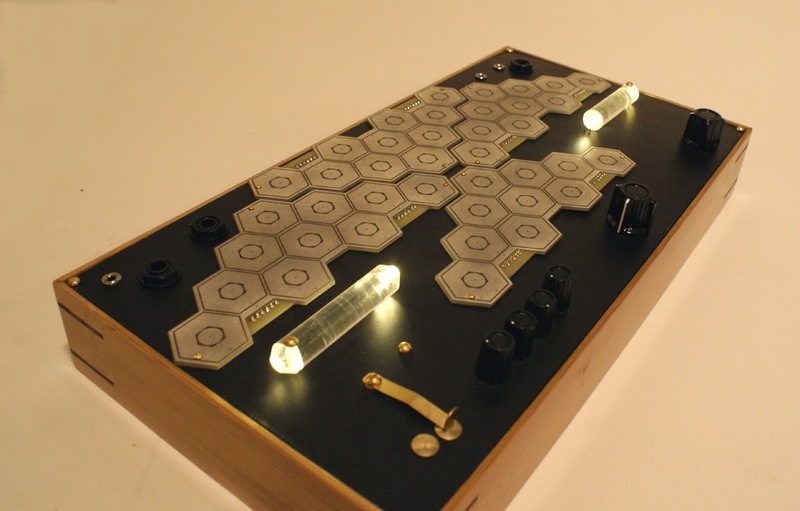 It features 20 oscillators and a 20 note polyphony, is capable of connecting with anything that accepts control voltage and also has a set of touch "keys" that transmit CV. 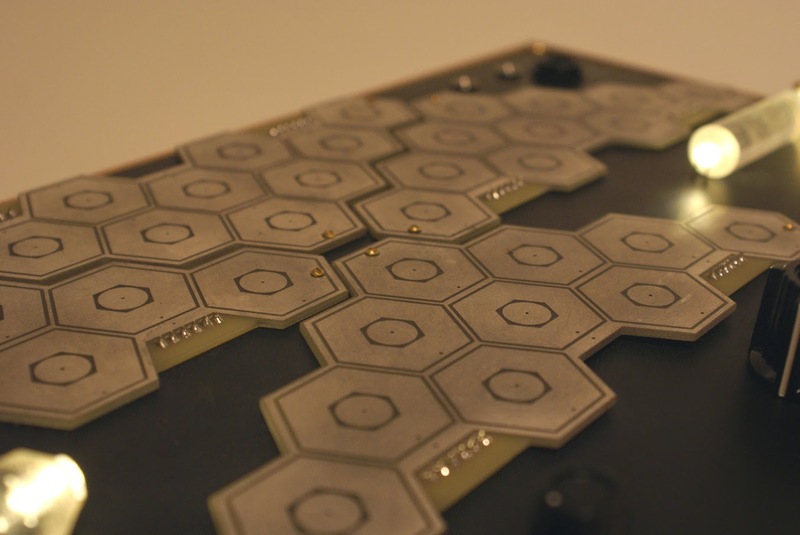 Two touch panels contain 10 responsive "keys" each that represent the primary low oscillators and higher decay oscillators. When the global pitch is dropped, the low oscillators go into a synchronized LFO mode where each key represents a different time signature. The decay section is made to have a natural decay where attack and sustain are controlled by touch. Another panel integrates a more subtle set of oscillators that replicate the decay panel and are made to influence the other oscillators. Finally, the amp section alters the sound of the low oscillators and provides everything from deep, filtering swells to subtle pitch change. These oscillators travel to a reverb/delay (switchable) that provides an enormous reverb or a nasty tape style delay. Additionally, an external signal can utilize these effects as well. In fact, the synthesis of Aether can be made to pass through the player, into the upcoming synthesizer "Materia" which is then sent into the effect section of Aether where it can be mixed with the original signal how you like. *This piece is made to connect with an upcoming synthesizer called "Materia" which greatly expands the possibilities and sounds. Materia will be available when Aether is officially released (not preorder). 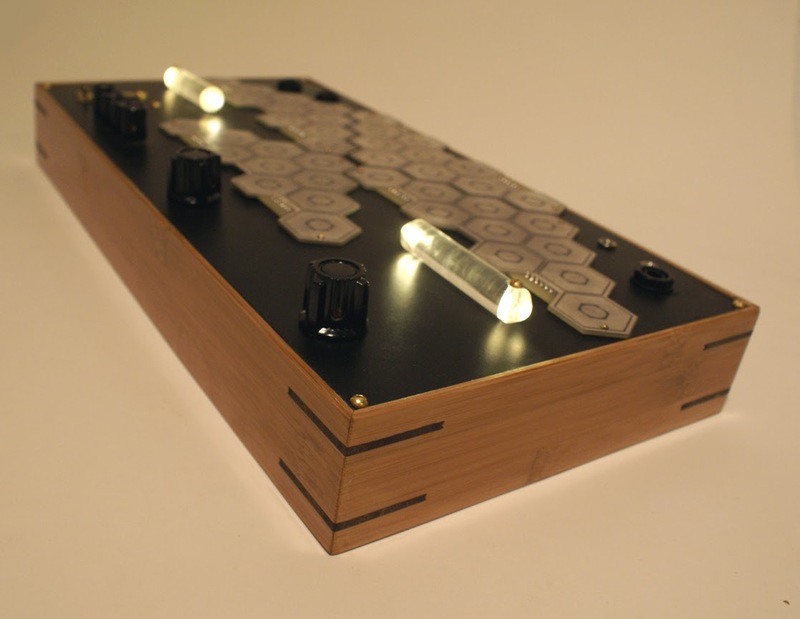 Materia provides its own clicky poppy deliciously odd drum sounds and rhythms via trigger-based sequencing, touch-based wierdness, CV sequencing to control and synchronize with Aether as well as more touch panels that allow the synthesis of Aether to be heavily altered. 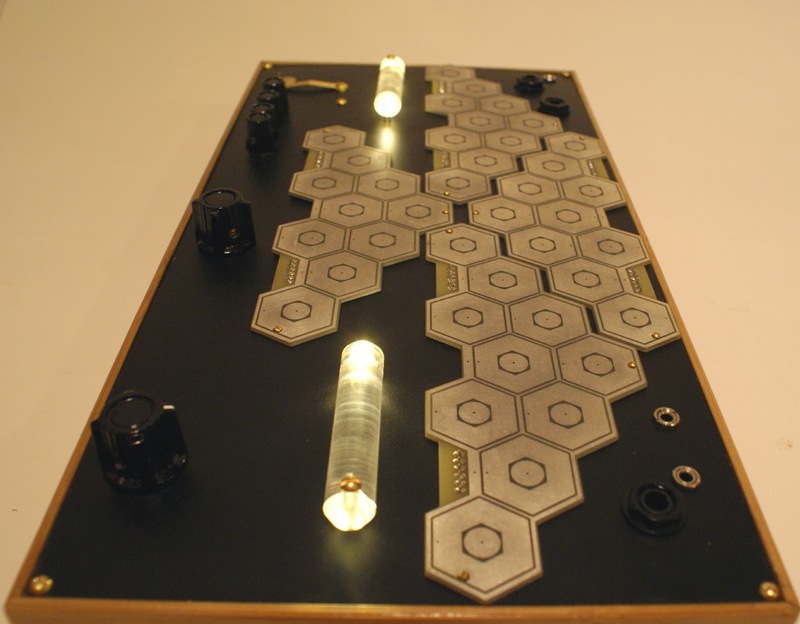 It also allows the oscillators of Aether to pass through the user without any audio cables connecting the two(!). Materia has a second power jack and if both pieces are purchased, a jumper cable will be provided to eliminate the need for two power supplies. Clock output (to synchronize Materia or anything else with the rhythmic clicking/popping of the low panel when the pitch is dropped. CV out transmits 0-5v based on touching the decay "keys". Each key outputs a dedicated voltage in .5v increments. Layered 4 tracks + beat in an attempt to display the more synth nastiness and practical production with the Aether. No external effects or filtering (and no looping or major editing) - each part with control voltage supplied by the simple and effective Electro Harmonix 8 Step Program synched via midi to a simple beat from the Korg ESX sampler.